Antipasto Pickle Preserves, a taste of summer to last through winter! Although I have been eating this delicious antipasto since I moved to Victoria nine years ago, I never knew how to make it. Then last month, I was given the original list of ingredients from Grandma O’Brien by her grand-daughter Kieran and there I was trying to figure out the “how to” make the recipe, so that it would taste like genuine Italian antipasto. Because I was very anxious not to ruin all this food, I divided the amounts given by half. The recipe below yielded about 22 eight-ounce jars, and a bit extra for testing by the cook. I was surprised that a lot of ingredients are actually canned, jarred or pickled but was told by another friend, who has been making this for years , that it was best not to tamper with good things and that this antipasto recipe was incredibly good and addictive. 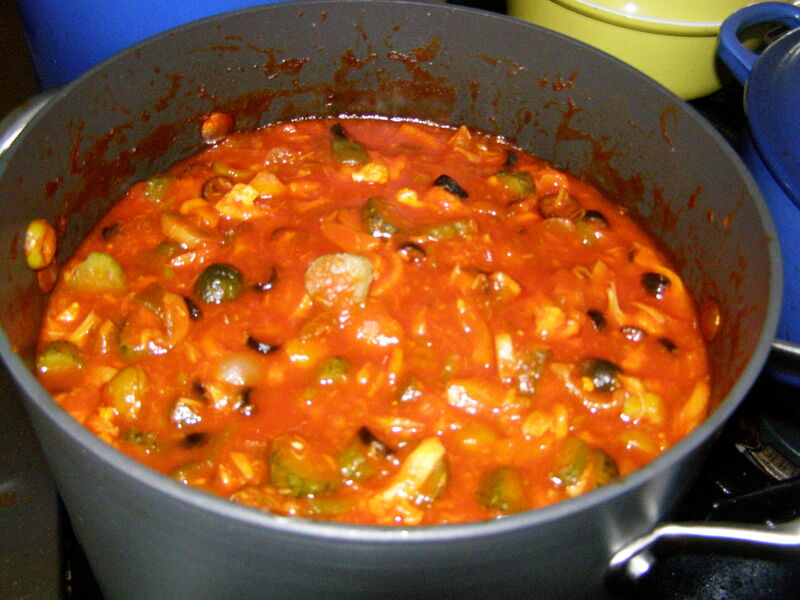 Heat a small quantity of olive oil in your largest stockpot, or Le Creuset cast-iron pot, or a very large non-stick pot. 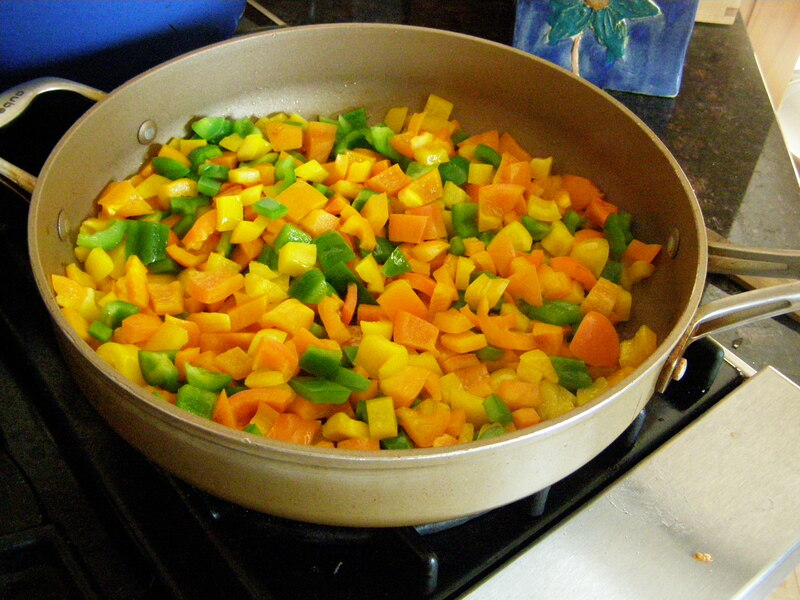 Add the peppers, cut up in squares about 1/2 inch and sauté them gently 5 minutes. 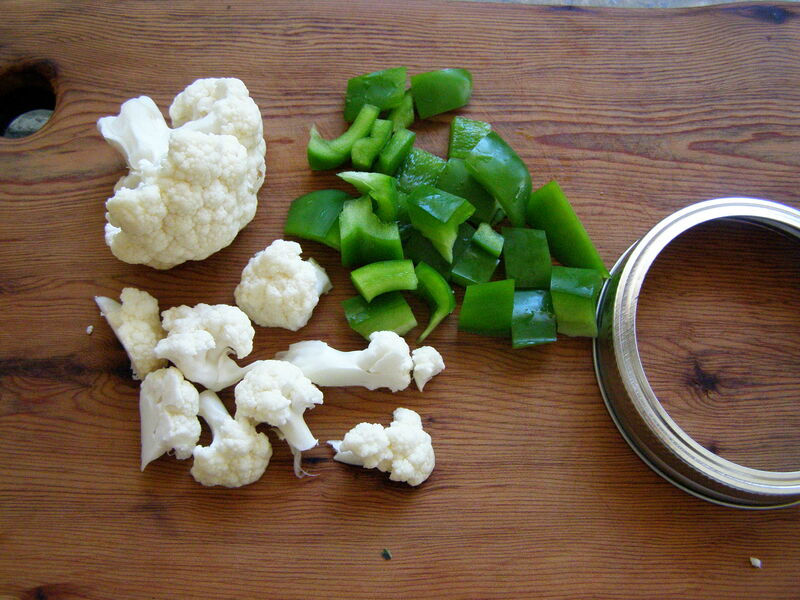 Add the cauliflower and sauté 1 minute. Add everything else except the tuna. Simmer 15 minutes. Add the flaked tuna and simmer another 2 minutes. Keep stirring often to prevent burning the bottom. While your antipasto cools down with a lid on top. Sterilize Mason jars, tops, rings, prongs, a large spoon. Then, fill the jars leaving 1/2 inch at the top, cover and preserve for 20 minutes. If you are not familiar with preserves, follow a book or internet directions. As we all preserves, the process is important to avoid botulism, and especially here because low acid foods are included in this recipe. Note also that there is no garlic for that reason. (If you don’t feel like preserving, the antipasto can also be frozen). Try to save the jars for one month before eating! Right! Note: To be truthful, I have to confess that I added 3 tbsp red wine vinegar and 3 tbsp Frank’s red hot sauce, but that is up to you! This entry was posted in Appetizer, Little help from my friends and tagged antipasto, antipasto preserve, cast iron pot, cookingfrog, food, foods, Le Creuset, recipe, recipes, verygoodrecipe. Bookmark the permalink. 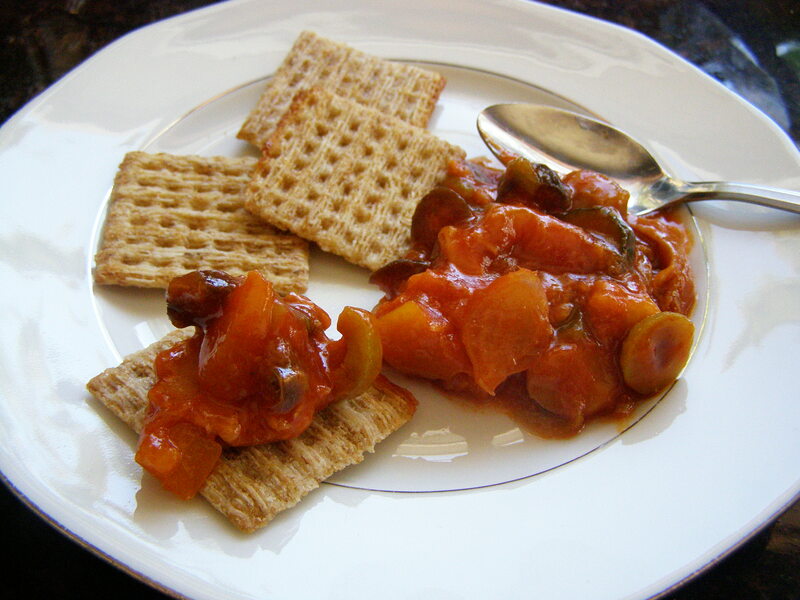 1 Response to Antipasto Pickle Preserves, a taste of summer to last through winter! Wishing I had made some of this antipasto to bring on our journey. I’ll make it when we get home.